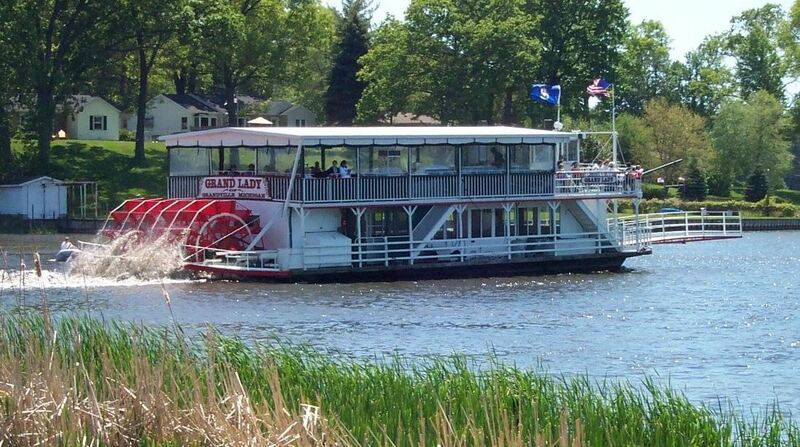 On Thursday July 12, 2018 we will go for a two hour cruise on the Grand Lady Riverboat. The cash bar opens and boarding begins at 6 pm. The boat leaves the dock at 7 pm and returns at 9 pm. The Adams Family Band will provide the on board entertainment. Dancing encouraged. Please note that NO drinks can be brought on the boat. Small coolers containing food can be placed on your table top but NOT on the floor.Food and snacks may be purchased on the boat. Admission is $15. The boat can sell out so strongly encourage you buy tickets asap. The phone number is 616-457-4837 or online at Grand Lady. The boat cruises rain or shine. There are restrooms on board. Since the boat cruises on the Grand River getting seasick is highly unlikely.